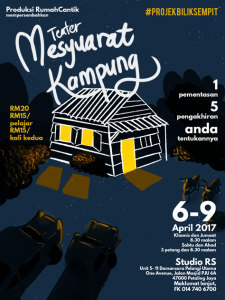 RumahCantik was founded in 2012 and initially joined IIUM theatre scene as Mkay Production for English Theatre Show (2011) and Nusantara Theatre Week (2012). We were later rebranded and have been participating events inside and outside of IIUM via invitations through various organisers including Multimedia University, Kolej Universiti Islam Selangor and Hidayah Centre Foundation KL. We are known for realism concept of Malay stagings with fresh and modern touch. The main themes of our stagings are mainly messages from Al-Quran and Sunnah and similar values are also incorporated as practices among our production members. RumahCantik had successfully staged 15 plays within 5 years. With our tagline ‘Seni untuk Dakwah & Masyarakat’, we have started to grow independently outside of IIUM to discover and experiment more perspectives of performing arts through wider lens. An interactive show with the setting of a village meeting where the villagers need to vote for their next village chief. The audience will have to vote between 5 candidates, each with its different endings. This staging is a sequel of 'Teater Lelaki Dari Dhaka' which was staged for Mega Charity Theatre 1.0 in November last year. 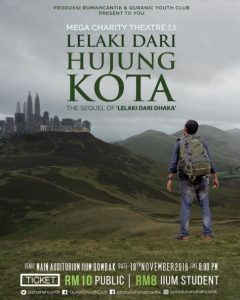 'Lelaki Dari Dhaka' was a depiction of the reality of mistreatment and injustice that occurs to low income foreign workers in this country. The story was about Asok who migrated from Dhaka to Kuala Lumpur to gain financial strength in order to pay for his son’s cataract surgery. Far from his expectations, the city of Kuala Lumpur turned out to be different than what he thought, as his life was ended before he could accomplish his journey. 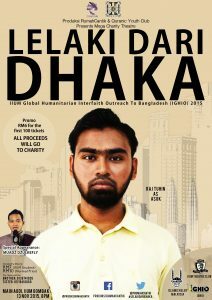 Produksi RumahCantik collaborates with the Quranic Youth Club for Mega Charity Theatre: LELAKI DARI DHAKA. 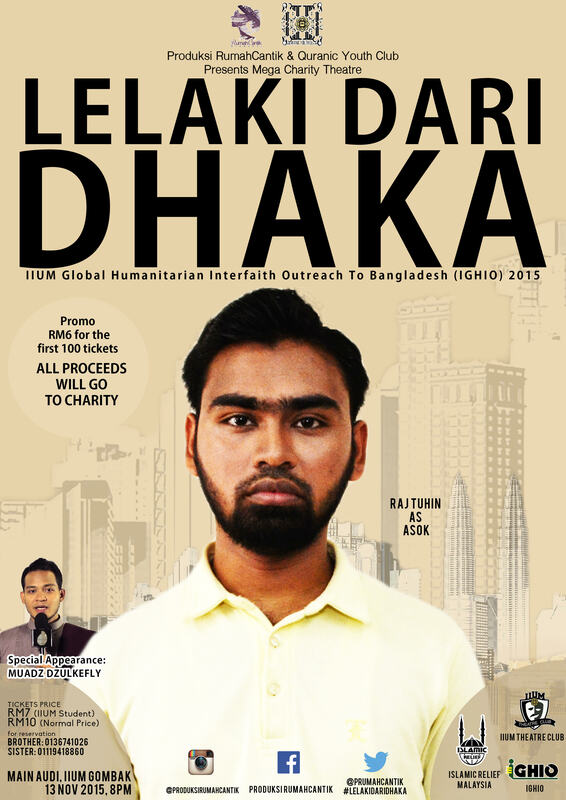 This event is organised in conjunction with IIUM Global Humanitarian Interfaith Outreach to Bangladesh (IGHIO) 2015. 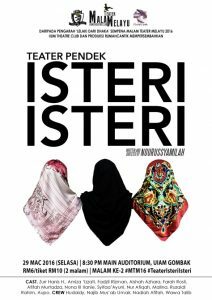 #TeaterIsteriIsteri was a translation from ‘WIVES’, a piece that discussed on faraidh law (Islamic inheritance law) and how it affect Malaysian women. More women issues were touched on such as gender roles and polygamy. A comedy, this play is full of plot twists that the audience didnt expect from the death of Dato’ and reading of his will.